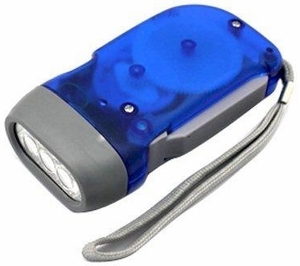 Store this handy flashlight in the trunk of a vehicle, the garage, the kitchen or anywhere you may need it. When required, simply unlock the handle and squeeze the handle to get the light! When the light dims, just squeeze the handle a few more times! It`s that easy! !